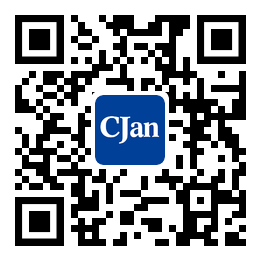 ﻿ Attentions for the Use of Stainless Steel Fittings - CJan Fluid Technology Co., Ltd.
1. Please do not apply to unsuitable fluids . 2. Do not exceed the maximum pressure limit when using. 3. Do not use beyond the temperature range to prevent the sealing material from wearing out or leaking. 4. Do not make artificial blows, bend, stretch, prevent damage. 5. Do not use in the situation mixed with metal powder or dust in order to prevent the result of poor work or leakage. 6. The installation of screw thread should not exceed the maximum tightening torque during installation to prevent damage. 7. Do not use a cracked hose pipe to prevent leakage or loss. 8. If the machine is used for vibration and impact, the durability will be reduced. 9. Fluid must be filtered through a filter. 10. Don't remove the quick connector. 1. Time saving and manpower saving: when breaking and connecting oil road with quick stainless steel fittings,it is simple, time saving and manpower saving . 2. Fuel economy: when the oil circuit is broken, the single valve in the quick stainless steel fittings can seal the oil way, and the oil will not flow out, so as to avoid the loss of oil and oil pressure. 3. Environmental protection: when quick stainless steel fittings break and connect, oil will not leak and can protect the environment. 4. The equipment design is unique and convenient to transport: large equipment or the hydraulic tools that need to be portable, use quick stainless steel fittings to split and transport, and then assemble and use after arriving at the destination. 5. Economy: all these advantages create economic value for customers.